Top Dawgs: Can Jake Browning and Myles Gaskin win a title and go out as UW’s best class ever? What really separates this roster is the combination of talent and experience. These Huskies have played a lot of football together. “We’re the closest team we’ve probably ever had,” Trey Adams says. 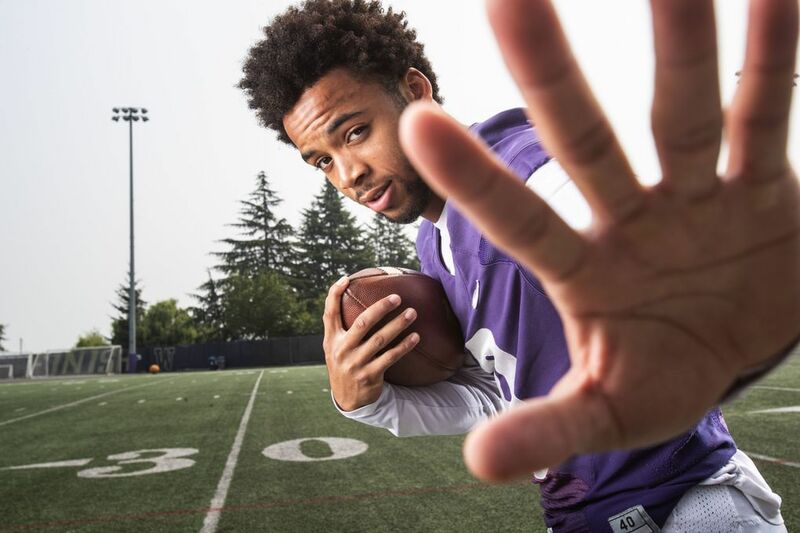 The private social-media message arrived in Myles Gaskin’s inbox on Feb. 4, 2015, soon after the running back from Lynnwood officially signed on to play for the Washington Huskies. It was the first time Browning and Gaskin had interacted; the Huskies’ future star quarterback and future star running back had never crossed paths while being recruited by the UW, Gaskin recalled. At the time, Gaskin thought little of the message. Neither could have realized just how prescient Browning’s words would be — or just how close the two backfield mates would become over the next four years. By mid-August 2015, in the middle of their first fall camp, it was becoming clear that Browning and Gaskin — along with left tackle Trey Adams and slot receiver Chico McClatcher, two other key players in the 2015 class — would be cornerstone pieces of the UW offense. Browning, Gaskin and Adams now enter their fourth seasons as starters — something that’s never happened before in UW history at those three vital positions — with designs on a second Pac-12 Conference championship together. “It’s obviously been some of the best years of my life, playing with some great people and for some great coaches,” Browning said. “And I feel like I’ve been doing it the right way and making a lot of friends throughout the process. My thing is I’m always going to prepare as best I can and work as hard as I can so I don’t have a ton of regret. You’ll always wish you had some throws back or some games back, but the overall process with where we’re at now — we’ve built those expectations and that’s something I’m proud of. This is how inexact the recruiting-ranking process is: On National Signing Day 2015, the Huskies’ recruiting class was ranked by one scouting service as the 30th-best in the nation and the seventh-best in the Pac-12. All the class has done is turned into one of the best in program history, perhaps second behind only the 1988 class that featured the likes of Steve Emtman, Lincoln Kennedy, Mario Bailey, Mark Brunell and Dave Hoffmann, among other starters, on UW’s 1991 national-championship team. Of the 24 recruits to sign with UW in the 2015 class, at least 16 are expected to be regular contributors, if not full-time starters, this season, a fairly remarkable success rate for one class. There’s Browning, Gaskin, Adams and McClatcher, of course, plus Andre Baccellia, Quinten Pounds, Henry Roberts and Jusstis Warren on offense. In all, the UW roster features 21 seniors, including 12 fifth-year seniors from Chris Petersen’s first class at UW in 2014. 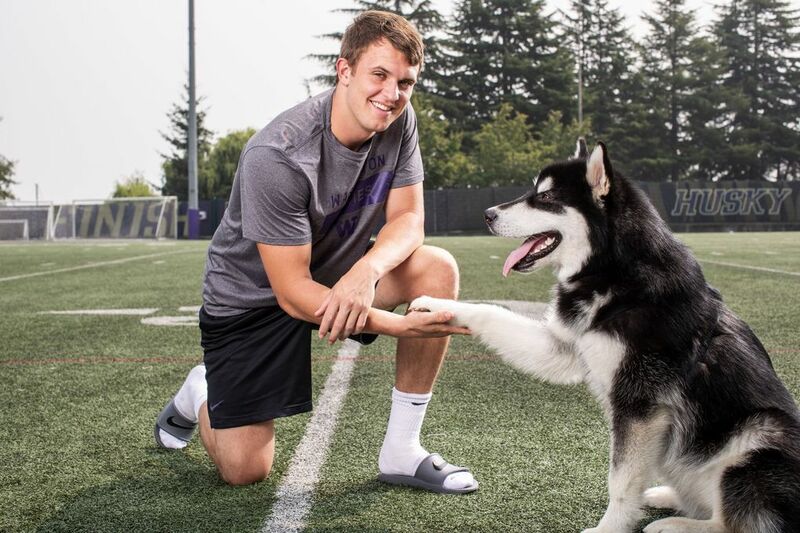 The Huskies have talent, sure, and that talent is a big reason why so many believe this team can make another run at a College Football Playoff berth. What really separates this roster is the combination of talent and experience. These guys have played a lot of football together. When the No. 6 Huskies open the season against No. 9 Auburn on Sept. 1, UW is projected to have 12 senior starters, including four-year starters at quarterback, running back, left tackle and right tackle in Kaleb McGary. By comparison, the Huskies had just four senior starters for their 2017 opener, and five for the 2016 opener. Many fans this time of year are most curious about the newcomers on a team — a common question: Which freshman looks the best in camp? — but for a team to reach its full potential Petersen often says it’s the seniors who must improve their game. After a tremendous junior season, Gaskin gave strong consideration to making the jump to the NFL. One of the primary reasons he decided to return for his senior season? Browning and Gaskin have changed the program, all right, and they’ve done it together. Their success on the football field is an important part of that, of course. But it’s more than football, and Gaskin said Browning will be in his wedding someday, and Browning called Gaskin a lifelong friend. “Me and Jake, I can’t put words around it,” Gaskin said of his relationship with the QB. Browning is known to be demanding of himself — he’s a perfectionist — and Gaskin said the QB is just as tough on those around him. “Jake has been a real good dude to me … pushing me to be the best me I possibly could. And I always appreciate that from Jake,” Gaskin said. “He’s a winner at heart and he’s a competitor at heart. You can see in that dude, he’s going to push you to where you damn near hate him, but he’s still going to push you. He’s done that to me and then I started to do that to him. And I think that’s what made our bond, friendship, family, whatever you want to call it, made it stronger. I definitely call Jake my family now. Petersen has pushed both to be greater leaders, and they’ve responded. By the end of the 2015 season, as Browning and Gaskin helped the Huskies close out a 7-6 season with three consecutive victories, it was no secret that the young nucleus had the potential to lead the program back to prominence. Three years later, they’ve done that — and they insist they’re not done yet.